Keeping on top of the local market is easy…to a certain degree. You can track turnover, how long properties are on the market and what they’re asking for (either rent or sales price) by keeping a close eye on current market listings and ensuring you’re well connected - but it all takes time, and it’s very easy to miss important trends - or even investment opportunities. That’s why for property investing, it makes sense to leverage a specific technology tool that’s available to make your decisions much more efficient: based on a better, more current source of property data. It’s what the banks, real estate agents, mortgage advisers and valuers do, so you’ll be on an even playing field with other industry players. There’s also a lot to be said about not having to rely on anyone for quality information. 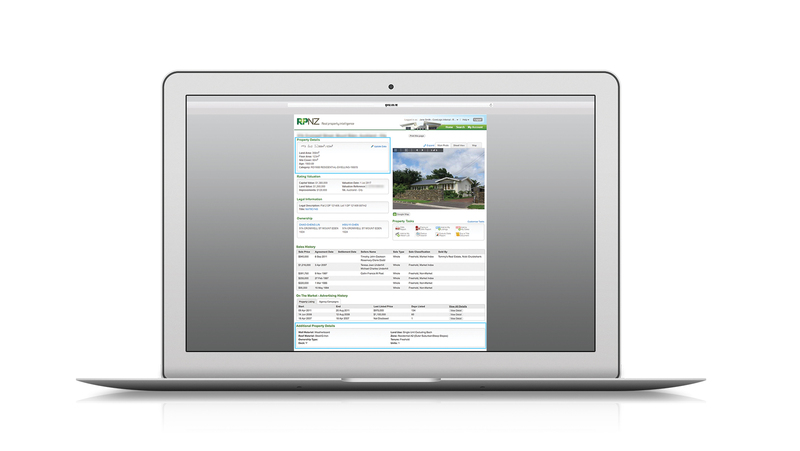 Introducing RPNZ - the innovative property data and analytical tool that can help you grow your investment portfolio. RPNZ offers advanced technology features such as interactive mapping tools, convenient Property Monitor alerts, a clever app with great tricks such being able to view the latest property transactions around your current location (using GPS), a territory builder tool that lets you focus on a specific area you’re interested in - even within a suburb, plus a comparative market analysis tool and recent sales reporting when it’s time to understand whether the numbers stack up. It supports you to make smarter, more informed investment decisions, but the real beauty of it is that it’s intuitive to use and is backed up by ‘real people’ support if you ever need it. NZ made, NZ supported. NZ proud. HOT TIP: the CoreLogic research team has a trusted reputation for delivering solid, reliable insights. Their regular reports (for example: The Pain & Gain Report, the Quarterly Property Market and Economic Update report, the Weekly Market Pulse) deliver important property insights and trends invaluable for any property investor. You can get the latest updates within RPNZ itself, and follow along on your preferred social channel to make sure you don’t miss anything: they’re on Facebook, LinkedIn, or Twitter.